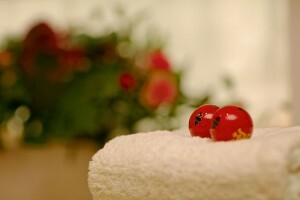 Aromatherapy can be an encouraging supporter of dieting. When you feel like eating out of frustration or habit, especially sweets and snacks, you can use a roll-on applicator with a ‘slimming’ scent to help you with this burden! Today I will introduce a fragrant roll-on recipe that relieves stress and unneeded appetites to support you in your dieting endeavours. For details of the slimming fragrance please take a look here. Pour the jojoba oil into a glass container, add all essential oils and mix well, then decant into a roll-on container. This aromatic roll-on should be applied to the wrist, and used as a perfume to encourage the senses and make the fragrance work on the brain. 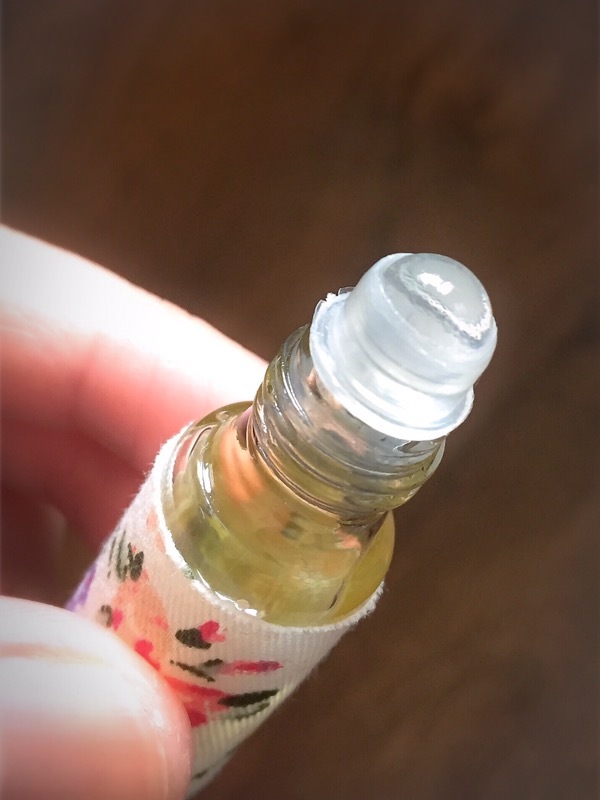 This is a roll-on recipe, but it is also possible to steam the essential oils with aroma pots or diffusers, to produce a room that is a “weight-loss space”. When you want to suppress your appetite, let’s look at where the roll-on fragrance should be applied for best effect. 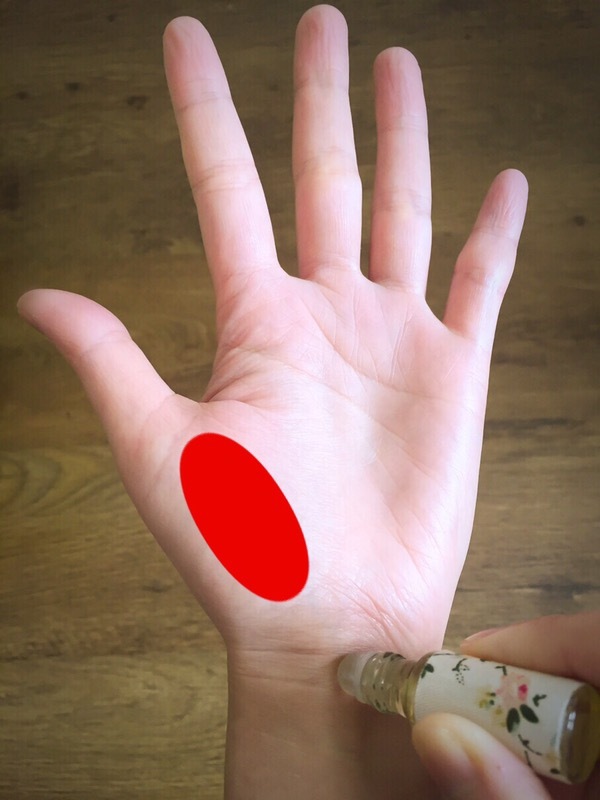 The swollen portion at the base of the thumb (where the red area is shown above) is a collective area of acupressure points that can work to suppress appetite. Massage gently to stimulate the area while making sure you inhale the fragrance. Your appetite and any agitation you may be feeling should calm, despite feeling like you’re not doing anything much! 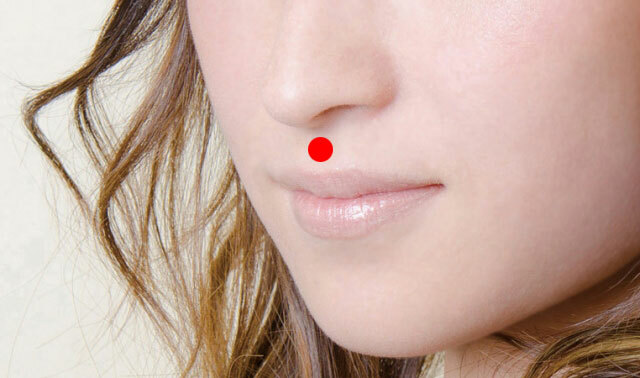 It is said that the acupressure point between the upper lip and the nose (where the red circle is shown above) has the effect of suppressing appetite. The fragrance also reaches well from here into the olfactory system, so it can be a very effective spot to apply it.